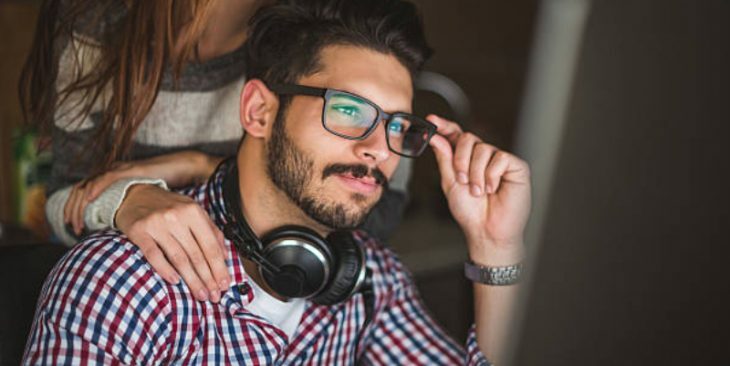 In this article, I talk about 5 of the best noise cancelling headphones under 100 bucks that I’ve bought and used over the years. Most of my life is riding the bus, train or being on a plane. So I like the zone out with my music and listen to everything from music with heavy bass to live music and podcasts. I have a confession to make; I go through more wireless headphones than anyone I know. It’s not entirely my fault. I travel a lot, and for whatever reason, wireless noise cancelling headphones are always an item I have to re-buy. I had a pair stolen from me when traveling to Costa Rica and then again when I went to Europe. I lost a pair once when I was in Mexico after I had too much to drink and then had two more pairs break on me from random miss fortune. The glass half full outlook on these bad luck experiences is that I have tested out a large number of noise-cancelling headphones, and I now know what I’m looking for. 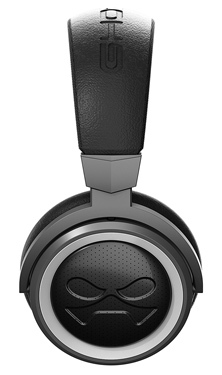 Naturally, after having to rebuy a few pairs, I now only target the best noise cancelling headphones under 100 bucks I can find, and I have a few brands I know and trust. 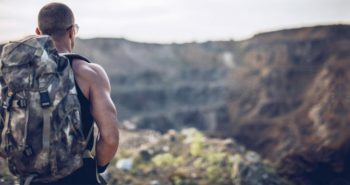 Those looking to pickup up a pair for a flight or vacation, or simply looking to wear them in a noisy environment like the gym, will want to make sure you find noise cancelling headphones specifically. The main reason being is you don’t want your music to have to compete with the sounds around you. Noise cancellation makes it possible to listen to music without raising the volume excessively. The theory is, to cancel the lower-frequency portions of noise. However, there is a slight drawback. Noise cancelling usually costs more and it’s also been known to reduce audio quality and add high-frequency hiss. 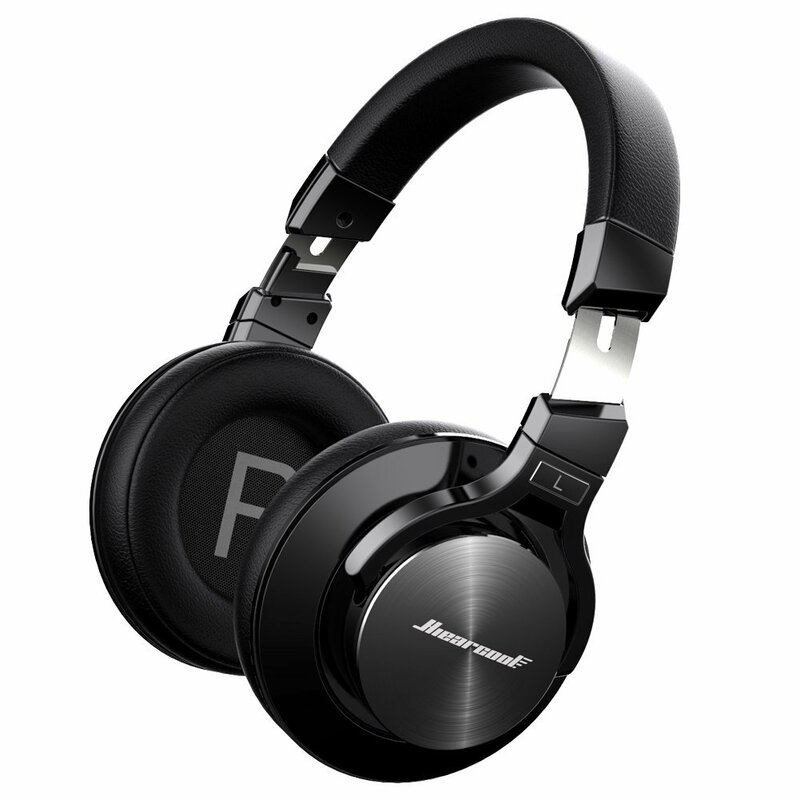 So the goal is to find the best wireless noise cancelling headphones that will sound great and will also last. The following are the five best wireless noise cancelling headphones under 100 bucks I would recommend. The Ghostek Cannon Wireless Bluetooth Headphones link up instantly, have a very nice look to them and feel extremely durable. They fold up nicely when you’re not using them and they come with a storage pouch. The Music play time was quoted at 14 hours, however, I have gotten mine to last a little longer. The Signal to noise is ≥85dB and the wireless range is about 30 feet. To fully charge these wireless headphones you’ll need about 40 minutes. 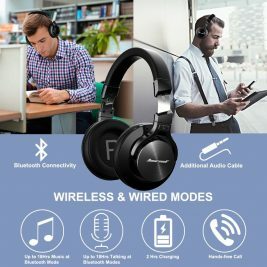 These wireless headphones have very soft earpieces that do not leak sound, they are an excellent investment and I would fully recommend them. 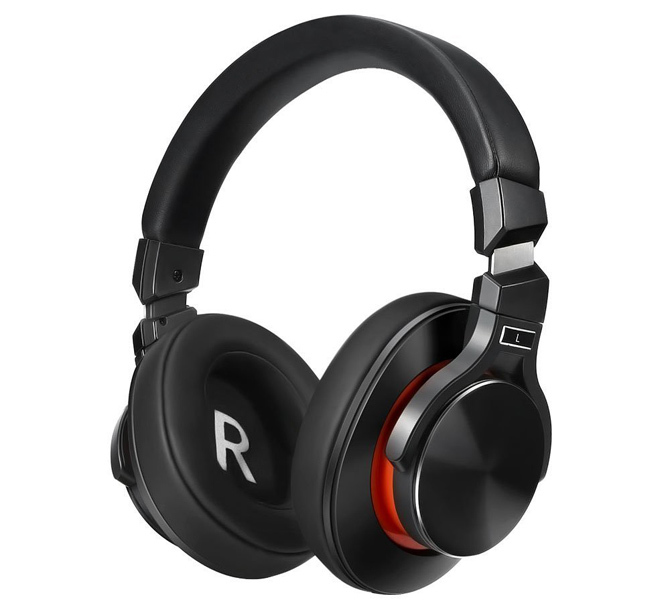 Last I checked on Amazon, you could grab these which I consider some of the best noise cancelling headphones under 100 bucks on the market. 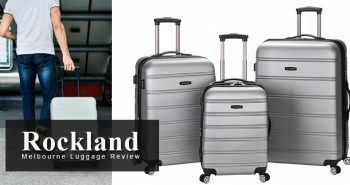 This model is one of the best sellers on Amazon with hundreds of positive reviews and is priced well. 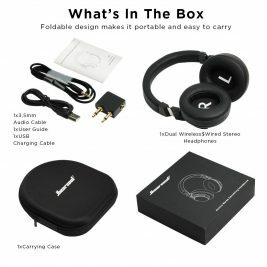 The TaoTronics Noise Cancelling Bluetooth Headphones also have fold-able ear cups, as do most of the headphones in this article. You get up to 25 hours of wireless music from one charge, which is excellent in comparison to most noise cancelling headphones I’ve tried. The battery life is also great, long lasting and charges fast. However, my only complaint is that the noise cancellation itself could be better. 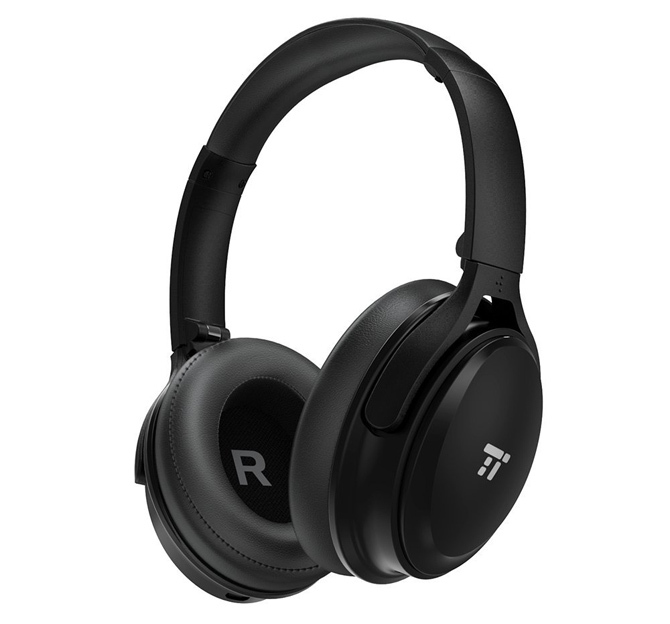 If you looking for the best noise canceling headphones under 100 bucks this definitely deserves to make the list, but I grade this particular model higher in the areas of sound, battery life, and quality, and would not say these are the best noise cancelling headphones on my list. Don’t get me wrong, they would score a B+ if I were to give out actual grades, but I liked this model based on the sound. So it really depends what you’re after. 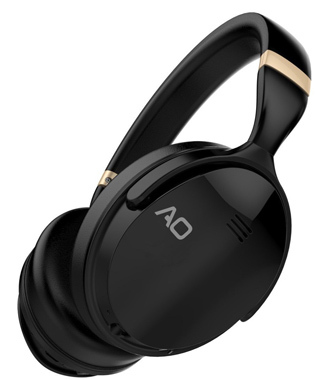 The AO Active Noise Cancelling Headphones are one of the better bargains on my list. 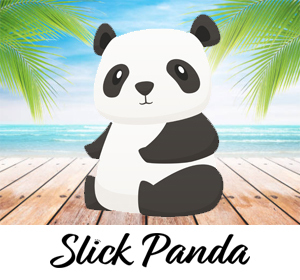 They have a nice style and feel to them and offer good quality sound all round. I think one of the biggest misconceptions of most things in technology these days is that the higher the price, the better the quality. When researching a cheaper pair of headphones to take with me to Mexico, I grabbed these when my friends and I were in Sayulita, which is a small surfing town and not a big resort with security. I packed light for my trip and didn’t want to bring anything expensive that would be a target of theft. However, surprisingly enough, these headphones put up a solid listening comparison to my buddies Bose Soundlink II headphones. I was actually really impressed with the sound quality of these noise cancelling headphones. The only knock on this headphones is they seem a little small. They fit my head fine, but if you have a big noggin, you might want to choose something else. The battery life could also be better, but again, these are some of the best noise cancelling headphones under 100 bucks. I bought these for a trip to Mexico, they made my trip a lot of fun and I didn’t really have to worry about them. 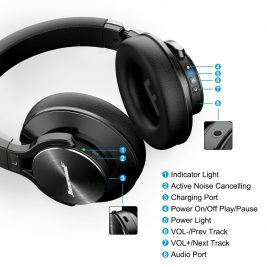 Active Noise Cancellation Technology: flip a switch on these advanced Active Noise Canceling (ANC) wireless headphones to reduce outside ambient noise. 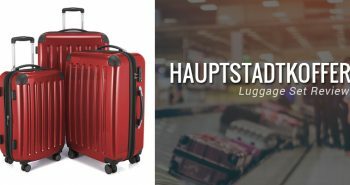 Perfect for use on an airplane, train in the gym or any other noisy environment. Works in both wireless and wired modes. Lightweight comfort with over-ear generously cushioned earpads for all-day wearing. 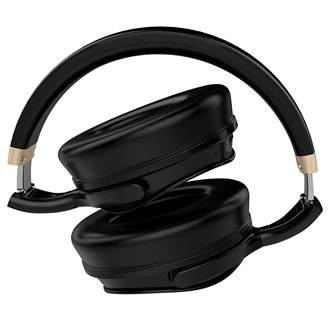 Swivel ear cups and adjustable fold-able headband make for easy carrying and storage for travel. Built-in mic for hands-free calling. I had these Kmeets Bluetooth headphones longer than any other headphones on this list. Kmeets is not a very well known brand, but as it turns out, they make a wide range of products. This particular brand gets a B+ grade across the board in all areas for me. These Headphones were comfortable enough to wear for multiple hours at a time, perfect for long trips. The bass is very clear and thumps just hard enough to not drown out the treble. These headphones are a great balance of sound, quality and battery life and I don’t have any beef’s with any aspect of this model. I think these are the best bang for buck on my list. You’re paying a little more for these Headphones, but they still fall under the $100 threshold for best bargain noise canceling. Excellent ambient noise isolation effect. Compatible equipment of Near Field Communication technology (NFC), which is installed in the earmuff to make calls and control the play of track. Comfortable to wear: Suitable for long-playing use with its around-ear design as well as the thick and ergonomic ear cushion. Dsp technology: Music is profoundly strengthened by optimization technology and debugging. The 3D stereo builds up technology is also used for you to fully enjoy the sense of broad space of music, the details of sound and the shocking rhythm. High reproduction can make you feel as if in the live music show. 3 months and warranty of free repair in 12 months. With no disrespect to the other brands and headphones on my list, these are my favorite. Over 190 five star reviews on Amazon, the Hiearcool L2 Noise Cancelling Headphones give you one of the best experiences all around. Strong Bass, deep, immersive sound at any volume level. Effective noise-canceling with very seamless switching between Bluetooth and wired mode. I liked these a lot. Enjoy up to 16 hours non-stop playing time in Bluetooth mode and around 12 hours with active noise cancelling on. There is a high demand for these, they tend to run out then require more. Amazon is the best place to get them. The mid and high ranges are also clear, and balanced. Large 40-millimeter speaker unit drivers combined with neodymium magnets provide stereo Hi-Fi sound and deep accurate bass response. The memory-protein ear cushion simulates human skin texture, designed for monitor headphones maximum comfort and noise isolation. Adjustable and stretchable headband to ensure a better fit. 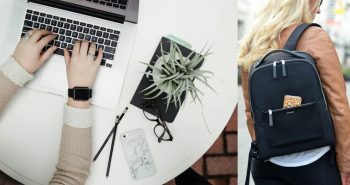 Reliable Bluetooth connects seamlessly to all your Bluetooth enabled devices with 33ft (10 meters) effective range. Intuitive onboard controls and built-in microphone. 3.5mm AUX port with cable (included) for use in flight mode or with any 3.5mm jack port devices. 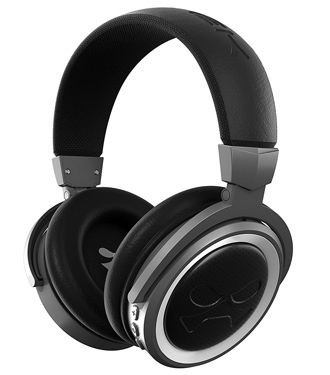 2 hours charge supports up to 12 hours active noise canceling playback or 16 hours in Bluetooth mode. Hiearcool product ensures a 30-day money back & 12-month warranty. Charles loves photography and blogging about people or the experiences he's had through traveling. Charles is lucky enough to be in a position that he can travel and work as a freelancer without having to live in any one spot. He grew up in St. Louis, Missouri, but left home at the age of 22.